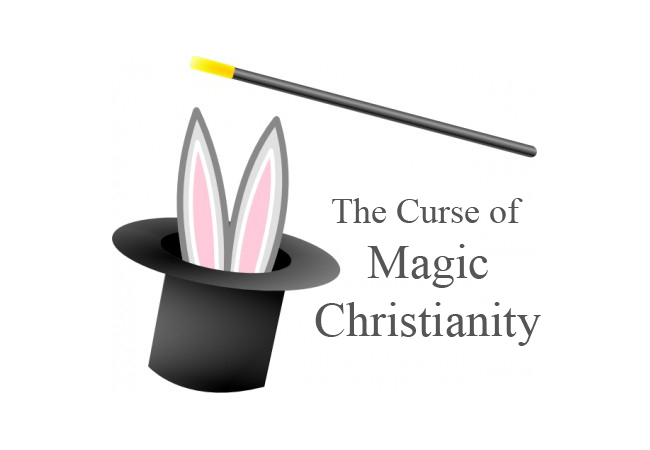 The Curse of Magic Christianity: Praying that God will do miraculously what we refuse to do through obedience. Why do we pray for God to “magically” do what He has commanded and equipped us to do through His Spirit and Word? Why do we pray for God to “do something” to protect our children from the consequences of the very things that we personally encourage them to pursue and experience in direct violation of His Word? Why do we pray for God to “do something” to make our government or legal system better when we actively oppose subjecting our notions of politics, government, freedom, law, and liberty to the crystal clear pronouncements lovingly recorded in His perfect Word? Why do we pray again and again and again for God to heal our lives, families, communities, and culture…and then ignore the very real, clear solutions that He has commanded and equipped us to apply right here and now through obedience to His loving Word? It all seems so very stupid…and disingenuous…and counterproductive…and insulting to God. Why are we in the professing Christian subculture in America so well known for routinely pursuing this apparently stupid, disingenuous, counterproductive, and insulting (to God) path? We are ignorant (or feigning ignorance). The first reason for our doing this seemingly idiotic thing again and again is that we are ignorant – ignorant of the Word in detail and therefore ignorant of the nature of God, the nature of man, and the nature of creation as utterly subject to and dependent upon the nature of God as revealed in His Word. For those professing believers who come by their ignorance honestly, meaning that they simply have not heard or read the vivid, detailed, beautiful truth of the Nature of God as revealed in His Word, there is reason for both great hope and great concern. The hope comes in that all new converts are inherently ignorant of the real-world shaping spiritual power of the Word in detail. We all start there. The great hope for supernaturally saved New Creatures in Christ is that the Spirit that resides within them will inspire and move them deeper and deeper into the Word. This will happen; it is every bit as assured in the life of a truly saved Christian as is their salvation itself. He who has by His grace chosen to begin a good work in them will complete it (see: Philippians 1:6). The concern for these folks is that their spiritual growth will be hampered and delayed by a professing church that is, as a whole, far from embracing the Nature of God as revealed in His Word as the actual, real-world basis for all hope and restoration in every realm of creation right here and now. Such a concept is nearly as foreign (and nearly as hated) by those within the professing church as it is by those operating outside of it from a more openly pagan perspective. Professing churches in America are overwhelmingly loaded with (and led by) people who simply do not believe in such application of the Word. A far less sympathetic (and infinitely more destructive) group is that comprised of folks who like to pretend that they’re ignorant. They like to pretend that they haven’t read, heard, or understood what they have in fact read, heard, and understood. They like to pretend that God has not spoken with clarity on…well…pretty much any subject/idol that they don’t want Him touching. These folks like to make a game of just looking the other way, often attaching humble sounding appeals to things like the sovereignty of God as an unimpeachable defense for their own open rejection in practice of what He has said (and they know that He has said) in His Word and through His people. They are typically “salad bar” religionists who have their core set of favorite/most delicious verses/passages/principles that they hold onto and hoist up at every opportunity, all while ignoring every crystal clear pronouncement of God that grates against them and their favored idols. One of their primary tools in playing this game is that of feigned ignorance…but they usually don’t fool as many as they like to imagine that they have hoodwinked, and they are not fooling God at all. Our inherent laziness plays a prominent role in many of the dark realities afflicting the world in which we’ve been placed, and the spread of Magic Christianity is no exception. We are generally too lazy to read, normally too lazy to study, and, if we do manage by the grace of God to do those two things, we are definitely too lazy to apply what He has said…until and unless we have been supernaturally saved by His grace through His Gospel and empowered to pursue His Great Commission. Until that happens, we will never strive to actively apply His Word in every realm of His creation. Not only will we not apply it, but we will actively oppose its application…often times in conjunction with the most “Christian sounding” of excuses. Application is where the rubber meets the road. 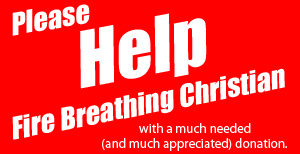 Application is where God’s people by God’s grace change God’s creation in a God glorifying manner. Application is where we are revealed, by God’s grace, to actually be His people. We can read and study and go to church and sing in the choir ’til the cows come home, but if we are not striving to apply His Word in every realm of His creation right here and now, it’s all a sham…and, as the Lord’s Word makes plain, evidence of false conversion. When we pray for God to “magically” do something that we know He has addressed in His Word in a manner that prescribes certain acts or behaviors or standards on our part, and we are not pursuing those things, we are lying in our prayers. We are lying to God. Possibly to ourselves as well, but definitely to Him. We don’t really want what we claim to want when we do this. We don’t really believe in the God to whom we are praying when we do this. If we actually believed Him, we would obey Him. If we truly loved Him, we would obey Him. And if we really wanted the things that we claim to want where our families, cultures, and governments are concerned, we would do what we have been clearly, lovingly commanded by God to do in order to bring those things to pass. Put more simply: We would actually apply the Gospel-fueled Great Commission to life. All of it (see: Matthew 28). But that is not the way of Magic Christianity, and since Magic Christianity is the preferred Christianity of even most “conservative, Bible-believing” folks in the land, this land is and deserves to be doomed under the presently unfolding wrath of the one true God – the one true God who has spoken clearly as to what His people are to do right here and now to stem the tide and bring true light into the darkness. Until and unless we are graced by that God with repentance of our Magical Christianity inclinations, we as professing Christians will continue to be the people most responsible for leading this culture and its people into ever increasing darkness, despair, and death. Remember this: There is never going to be any real solution to any problem in any realm of God’s creation that will be realized by “skipping over” the obedience prescribed in His Word. Those commands to apply His nature as revealed in His Word are not and never will be optional. They are and will forever be required and essential to true, lasting peace, joy, and prosperity in every realm of His creation. If anyone ever tries to tell you otherwise, remember that they are ignorant, lying, or some combination of the two.